New Orleans is known for being a city full of life and celebration. Perhaps that's why the dead never want to leave . . . or is their presence due to a darker reason? 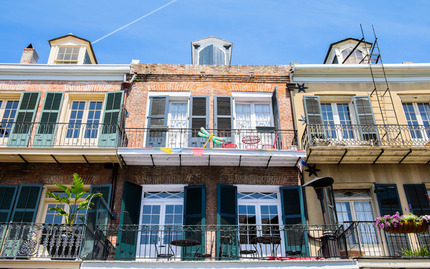 On this tour of the haunted history of the city you'll hear disturbing tales of infamous mass murders, vampire sightings, slave torture, and more. Hear gruesome details surrounding the life of Madame LaLaurie, a wealthy socialite turned serial killer who had a knack for brutally torturing and murdering her help. You'll also step inside a 200 year old haunted mansion and learn all about the spirits that roam its many rooms. Note: The exact meeting location is given upon confirmation of booking. Cancellation notice must be provided at least 24 hours in advance in order to receive a full refund.